Dylan & the Dead is a collaborative live album by Bob Dylan and the Grateful Dead, released in 1989 by Columbia Records. It consists of seven songs written and sung by Dylan, with the Dead providing accompaniment. The album was produced by Jerry Garcia and John Cutler. 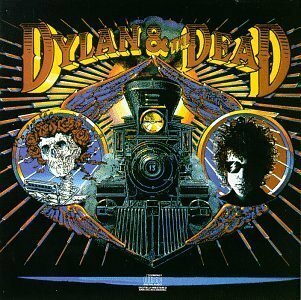 Dylan & the Dead was recorded in 1987, during a successful stadium tour of the same name. For this series of concerts, the Grateful Dead would perform two sets of material, followed by a set by Bob Dylan, backed by the Grateful Dead. Songs from two of the Grateful Dead performances are documented on the album View from the Vault IV.